Pulp Fiction Reviews on ROBBIE’S WIFE: "A terrific crime thriller destined to become a classic in the genre. They just don’t get any better than this." 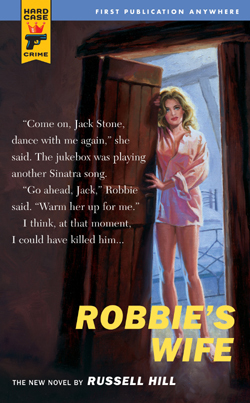 Publishers Weekly on ROBBIE’S WIFE: "Seductive intensity...graceful writing and three-dimensional characters [and] gratifying last-act plot twists." "A sublime piece of writing...Fantastic."